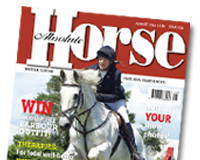 Sixteen year-old Sophia Fox from Greenfield, Bedfordshire secured the win in the Dodson & Horrell 0.95m National Amateur Second Round held at Glebe Farm Equestrian Centre in Wellingborough, Northamptonshire recently. Competitors came forward with the aim of qualifying for the 0.95m Championships which will be hosted during the Dodson & Horrell National Amateur Championships at Aintree Equestrian Centre in Liverpool (18th – 22nd November). Sophia with her own 15 year-old bay gelding Ryan Again went one better in this second round to take the victory. Jumping third in the jump off, the pair delivered yet another double clear, achieving this one in just 31.73 seconds. This gave them over three seconds in hand over their nearest challengers. Josceline Startin-Taylor from Burton on Trent, Staffordshire finished in second place on board Annabel Startin’s 7 year-old bay gelding Detroit VI. They produced their double clear in 35.09 seconds. 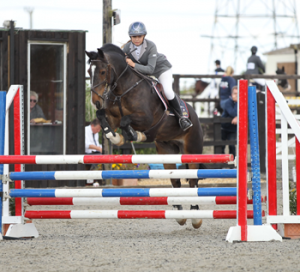 Sophia Fox enjoyed further success in this second round as she also went on to secure third place with her own 9 year-old black mare Roxborough Black Rain. A double clear in 36.75 seconds saw this combination take their podium finish.